U.S. consumption of broccoli has nearly doubled in the past 25 years, with Americans now eating 8.5 pounds annually of the vegetable celebrated for its high levels of vitamin C, fiber and antioxidants. Nearly all of that comes from California, according to the U.S. Department of Agriculture. Miguel Gomez, an assistant professor of applied economics and management at Cornell University, has been helping put together an East Coast network of farmers and retailers. Along with saving money, Gomez said creating second major production center for broccoli provides a hedge against threats such as drought, disease and bioterrorism. It also saves money. Shipping 10 tons of broccoli from Salinas, Calif., for instance, runs about $6,000 and adds 20 cents to 25 cents per pound to the vegetable’s cost, Bjorkman said. Students flock to ‘magical mushrooms’ course – More than 5,500 students have taken PPPMB chair George Hudler‘s Magical Mushrooms, Mischievous Molds class. Bellinder also engages growers and educators in diverse extension activities and participates in international consulting activities including a USDA-funded project to ameliorate declining yields in rice- and wheat-growing areas in India. Abstract: Plants are highly branched organisms that bridge vastly different and dynamic environments: geosphere and atmosphere. 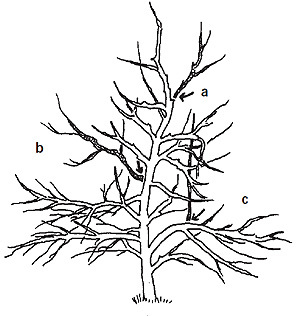 Leaves and roots are distal sites of mass and energy exchange that autonomously respond to rapid changes in local conditions at molecular and cellular levels. Irrespective of the diverse range of stimuli, responses almost always involve a rapid hydraulic component. I propose that plant vascular network provide system level regulation and integration of responses allowing for emergent properties that transcend local benefit to whole-plant wellbeing. Using examples from diverse and spatially separated processes (hydraulic dynamics of vascular system, nutrient uptake, and leaf-atmosphere coupling), I provide a conceptual outline that links seemingly unrelated biological and physical phenomena and offers an explanation to fast coordination of function across plant body. 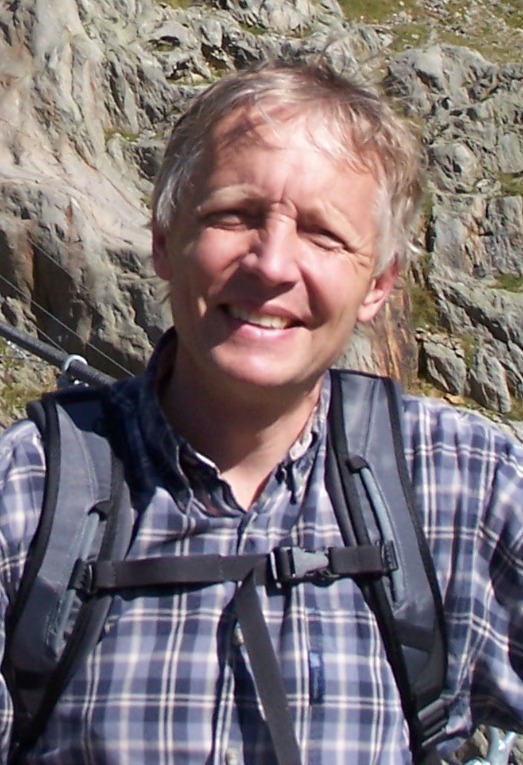 Maciej Zwieniecki’s research focuses on: mass and energy transport in plants; structure and function of plant vascular network; abiotic plant stress biology; interface between plant and environment. 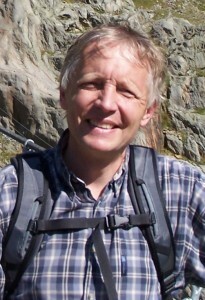 Zwieniecki authored and co-authored over 60 refereed publications, a book, and over 100 proceedings abstracts. He was giving invited seminars in many US and European universities. Zwieniecki’s research was supported by NSF, USDA, Mellon Foundation, SCCR (Poland) – total funding as Pi and Co-Pi exceeded so far $4M. From Erica Frenay, Northeast Beginning Farmer Project: ejf5@cornell.edu or 607-255-9911. 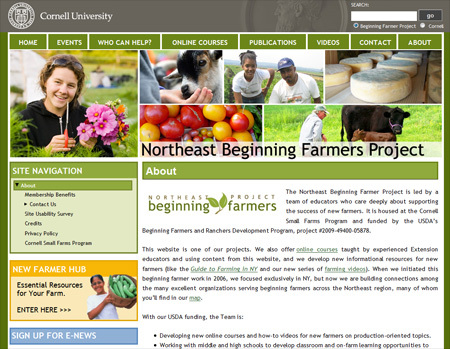 After a year of development, the Northeast Beginning Farmer Project is pleased to unveil a colorful new website with expanded tools and a wealth of new resources. Point your browser to http://nebeginningfarmers.org to find the enhanced site, which will extend high quality support to aspiring, new and diversifying farmers across the entire Northeast. Do you wonder how other farmers breed pigs, process chickens and transplant seedlings? The new site features a growing selection of videos capturing experienced farmers and their successful production techniques in action. You’ll also find our popular library of video interviews with farmers sharing advice on profitability, choosing an enterprise, evaluating land, and much more. Looking for upcoming classes, events and trainings? You can browse our events calendar, subscribe to our monthly e-news, visit our blog, or follow us on Facebook and Twitter, all from the homepage of the new site. Enter the New Farmer Hub to start drafting your business plan with the help of tutorials and interactive worksheets. Find answers to common questions, browse the Guide to Farming, and check out the latest beginning farmer online courses which can help you turn your dreams into action right from your home computer. Need some face-to-face guidance in your neck of the woods? Visit the Who Can Help Me? map to locate organizations that serve new farmers near you. Developing new online courses and how-to videos for new farmers on production-oriented topics. Working with middle and high schools to develop classroom and on-farm learning opportunities to recruit young people into farming as a career. Analyzing the hurdles that challenge new farmers when trying to grow their operations. Making training opportunities more visible to all new farmers in the Northeast. Assisting organizations serving beginning farmers with publicity, evaluation, training and information to enhance the success of the new farmers they serve. To learn more about the Northeast Beginning Farmer Project, visit http://nebeginningfarmers.org. Slow down, approach the world with awe and help others do the same. That’s the message Marcia Eames-Sheavly, senior extension associate in the Department of Horticulture, delivered at the February 3 Soup and Hope gathering sponsored by Cornell United Religious Works. Read more in the Cornell Chronicle. We’re taking pre-orders until Thursday morning at 8 a.m. Send pre-orders to Heather Lee, at hl492@cornell.edu and include quantity, color (red, yellow, pink, white), and pickup time when we’re at the Statler. We will also be having a Monday sale at a location to be determined. Support the Cornell Community while showing someone you care! Read more about Ball’s internship program. 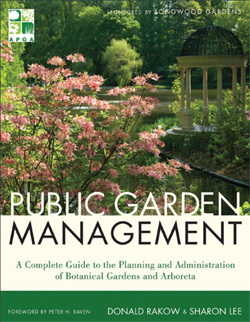 “The complete-and-ready reference for establishing, managing, and running a successful and sustainable, profitable public garden.” That’s how co-publishers Wiley describe Public Garden Management, new book edited by Donald A. Rakow, the Elizabeth Newman Wilds Director of Cornell Plantations and Director of the Cornell Graduate Program in Public Garden Leadership and Sharon A. Lee, the principal of Sharon Lee & Associates, the former deputy director of the American Public Gardens Association and the founding editor of the Public Garden, the journal of the American Public Gardens Association. Update [2/22/2011]: See also Cornell Chronicle article. The Cornell Cooperative Extension offices of Schuyler and Steuben Counties along with Reisinger’s Apple Country are offering a pruning workshop on Saturday March 19, 2011 and will be repeated Saturday March 26, 2011 from 9 am until noon. Instructor Rick Reisinger will demonstrate pruning techniques on apples, stone fruits, nuts and berries throughout his family orchard at 2750 Apple Lane, Watkins Glen, NY 14891. Other topics that will be covered include grafting an apple tree and renovating an older tree to improve fruit production. This fun, educational workshop is ideal for those that are new to fruit growing as well as the seasoned fruit grower. This is an outdoor demonstration; participants should dress for the weather. Pre-registration is required by March 4, 2011 for admission to either workshop. The fee is $15 per person or $25 per couple. Cider and donuts will be provided. Call Schuyler County CCE to register at 607-535-7161. From Feb. 3 Cornell Chronicle article by Amanda Garris, New produce-safety program gets $1.15 million to help farmers comply with new regulations.